Norman John Perry Thomson was born on 8th May 1931 at Toowoomba, Queensland. He inherited his love of the land from his father Frank who, while still a teenager, was a rough rider with Skulthorpe’s riding circus at the end of the 19th century. Frank was something of a bush legend – he was head drover for Sidney Kidman in the Northern Territory and had a team of camels for the Birdsville-Maree mail run. Years later when Norm visited Alice Springs in 1966 there were still many of the old timers who remembered his father some 50 years after his death. Norm’s father died when Norm was quite young, but with four cousins farming on the Darling Downs his love of the land was maintained. He went to East State Primary School in Toowoomba, followed by a year at Toowoomba Grammar School and three years at Newcastle Boy’s High School. He won a repatriation scholarship to Queensland University and obtained his Agricultural Science degree in 1956. It was during this time that he developed his interest in genetics and plant breeding. We didn’t have much to go on, and virtually had to start from scratch. Our first thought was that the tropical varieties would be best suited to the area, but our own work soon revealed that the US varieties were better under intensive management conditions. Norm married in 1959 and he and his bride Anna set out on the daunting task of starting their married life in one of the most isolated areas in Australia. It was very much a frontier atmosphere in the Ord at that time, although there were big plans for the future. The town of Kunanurra did not exist in those days and the nearest civilisation to the research station was Ivanhoe cattle station. In 1963, Norm completed a Master of Science in Agriculture degree through the University of Western Australia and in 1964 went to the United States on a CSIRO postgraduate scholarship to study plant breeding. Up until then there had been no cotton breeding of any substance in Australia – only variety introductions and limited selections. His first approach, to use hybrid vigour through crossing African and American Upland varieties, turned out to be a dead end. The initial experiments looked promising but when subject to full-scale field testing the results were very disappointing. By this time it was becoming clear that the Ord River scheme had a lot of problems and the Kimberley Research Station was starting to wind down. In 1968, Norm transferred to Canberra but continued to conduct experiments at Kimberley. In 1969, at a conference held at Narrabri to discuss the future of cotton in northern New South Wales, Norm proposed that a multi-disciplinary cotton research team be established at Narrabri as it was then the major cotton growing centre in Australia. The idea was supported and the new CSIRO team commenced in 1972 with Norm as Officer-in-Charge. 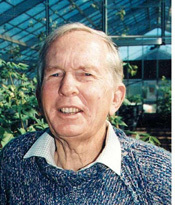 While it represented a new start Norm’s previous experience at the Ord, including his work on variability and response to selection within varieties (for which he was awarded a PhD from the University of New England), formed the basis for the subsequent research carried out at Narrabri. The Heliothis plague of 1972-73 set their objectives of breeding towards resistance using such things as okra leaf, glabrous leaves and frego bracts which became a feature of the new varieties. At the same time they had to aim for a balance of high yield, quality and disease resistance along with insect resistance. The end result of this work has been spectacular with the release of first the Sicot varieties in 1983 followed by the release of Siokra in 1985, the first widely grown Australian bred variety. In the four year period 1985-88 the Siokra and Sicala varieties provided $400 million worth of fibre produced, with more than 90% of that figure being export earnings. Another of Norm’s achievements was the development of Siratac – a computer based pest management system used widely in the Australian cotton industry. In his studies of the needs of the industry Norm Thomson made significant visits to areas of cotton research and growing throughout the world. In 1977, he travelled to the Soviet Union as a member of a scientific delegation under the Scientific Exchange Agreement. In 1979, he was a member of a Namoi Valley Cotton Cooperative delegation to China to advise on the introduction of Australian technology into Chinese cotton production. In 1981, he visited Pakistan to attend the Plant Breeding Conference and give a talk on Cotton Plant Resistance while in 1988 he travelled to Syria as a consultant to review a breeding program for the Food and Agricultural Organization (FAO). In 1989, Norm travelled to the United States, Europe and England as part of the Sir Ian McLennan Award and in 1990 Meredith Jones & Co invited Norm to give a paper to The Liverpool Cotton Association Ltd on ‘Australian Cotton Breeding’. Dowling D, 1986, ‘Norm Thomson – personalities in Australian Cotton’, The Australian Cotton grower, Aug-Oct, pp.7-9. ‘AM award honours leading cotton scientist’, The Border News, Feb 8, 1989. Thomson NJ, 2010, personal communication.